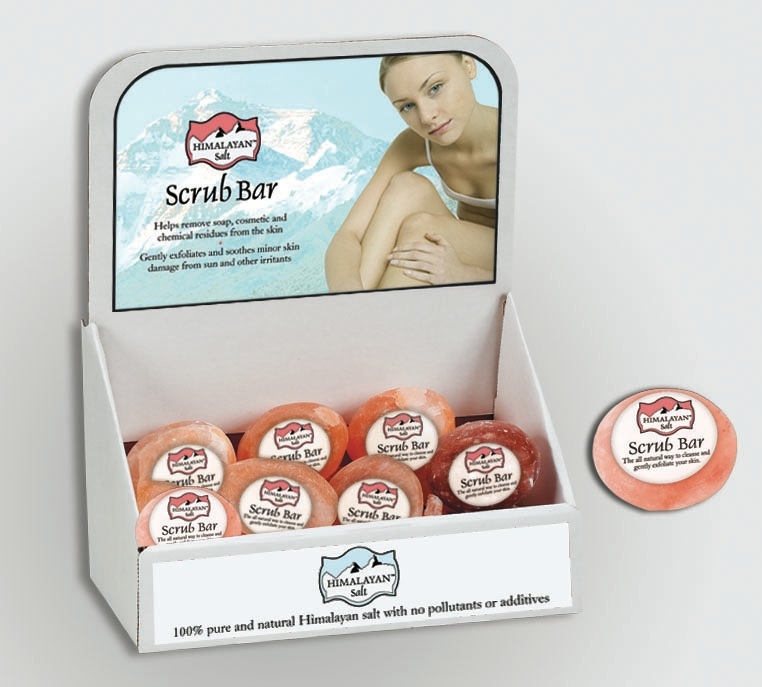 Exhibited at home shows and displayed in specialty stores, small, “quiet” products like Himalayan Salt Scrub Bars need a “flag” to wave at the potential consumer. That’s what an effective counter display does. It sets the mood for the product and features the key benefit in a manner that draws attention at Point of Sale (POS). Only then can the product label complete the sale.